I’m pretty psyched up tonight. A little anxious too. Tomorrow I’m going to speak to a group of men about what it takes to be successful in a two-year college. Although I’ve talked to students about college success for decades, tomorrow is different in one major way. 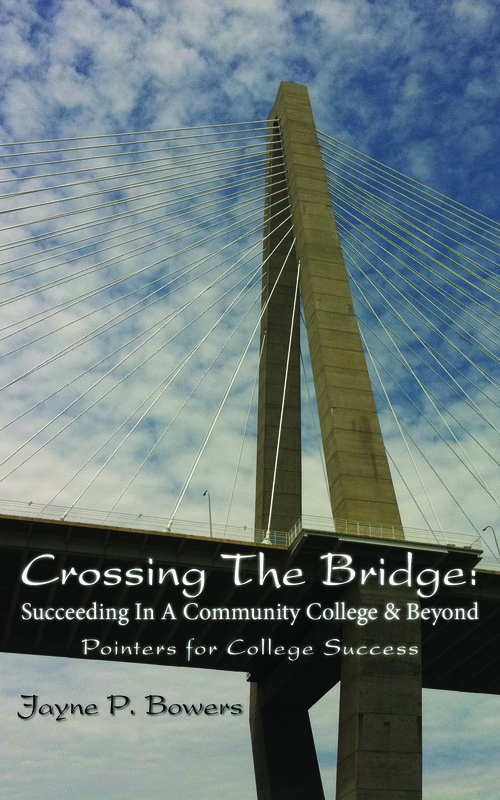 The men are using Crossing the Bridge: Succeeding in a Community College and Beyond as their text. The program coordinator and I have talked several times, and what he’d like for me to speak about tomorrow is the importance of personal choice and commitment. This is your life. Be intentional about discovering the attributes that make you unique, the ones that will help you to choose the right college major and live a more effective and satisfying life. An education is the ticket to a better life. Be intentional about getting the right degree or certificate from the college that will best prepare you for your future. Don’t be lukewarm or lackadaisical about taking that first step. Regardless of obstacles, be intentional in doing the things you need to do to begin your college career. You’ve come a long way to get here, and now it’s time for class…and for homework, studying, and time management. Keep your end goal in mind and be intentional about earning your degree or certificate. What you do outside of class is just as important, if not more so, than what you do inside of the classroom. Be intentional about using your time wisely to prepare for class and practice good study habits. Academic knowledge is essential for success, but practical intelligence, also known as street smarts, is equally vital. Be intentional in learning and applying those “life laws” as you cross the bridge to the professional world. Like me, Mr. Murphy likes the symbolism of the bridge, and he plans to incorporate it into every session this year. A bridge symbolizes a transition from one place to another. I chose the Cooper River Bridge for the cover photograph because of my numerous experiences in crossing it on foot. Always a challenge, crossing this bridge requires preparation, motivation, and determination, many of the same characteristics needed to succeed in college. Regardless of discomfort or discouragement, the traveler, like the student, has to keep on moving towards the other side. That’s where the goodies are, the rewards that being intentional and staying the course can provide. This entry was posted in books, college students, college success, personal choices, psychology and tagged books, choices, college success, presentations, workshops. Bookmark the permalink.